Mini to Small Size Saddle Bags. 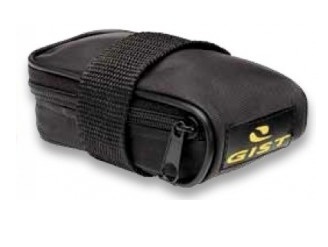 Generally used on road bikes and will carry a minimum load eg a road tube, levers, patches and change. Nominally between 0.25L and 0.5L in volume.